Metzeler are set to provide free camping at the 2013 Isle of Man TT as part of their 150th anniversary celebrations. The Metzeler Village at the National Sports Centre in Douglas will provide free tents and camping beds for up to 300 Metzeler customers. 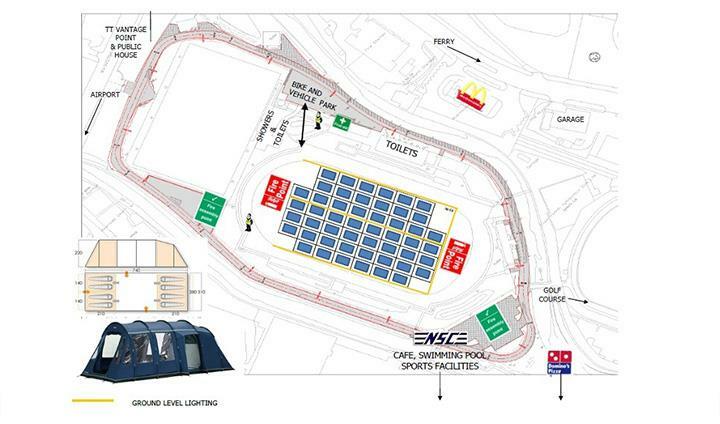 The campsite, containing tents, beds, showers, secure storage, wifi and charging stations, can be pre-booked now on their dedicated road racing site. As well as the campsite, there will also be a special free TT party in the Villa Marina, featuring an AC/DC tribute band, on Thursday the 7th June. Metzeler UK Marketing Manager Jim Worland told MCN "It's getting into the heart of real racing - racers go to the TT and re-mortgage their homes, sacrifice their homes to make it there. We're a motorcycle-only company and we share that passion for biking. Brand Manager Enrico D’Aloja added "We like to be with those events that bring us close to the motorcyclists, and the Isle of Man TT and the real road races let the audience be on the streets, in the villages, and let us experience the full emotions of the sport." "They have a philosophy that we think Metzeler shares, and that's why we want to be part of them."